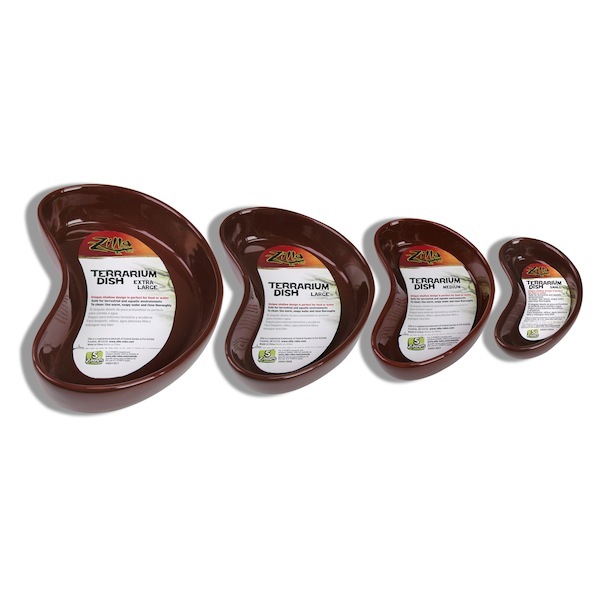 Easy is the key word to describe our value-priced food dishes for reptile terrariums. The low side walls put daily nourishment within easy reach of any size reptile. Terrarium care is made easier too, thanks to a glossy ceramic finish that sanitizes with soapy water. The four earthtone colors and a gentle kidney shape blend into desert landscapes or aquatic environments with equal ease. NOTE: SORRY NO COLOR CHOICE - we will send what is in stock.